On day 20 I made a batch of mini muffins and wished I had some mini edible flowers to decorate them with. Marigolds would be too big! 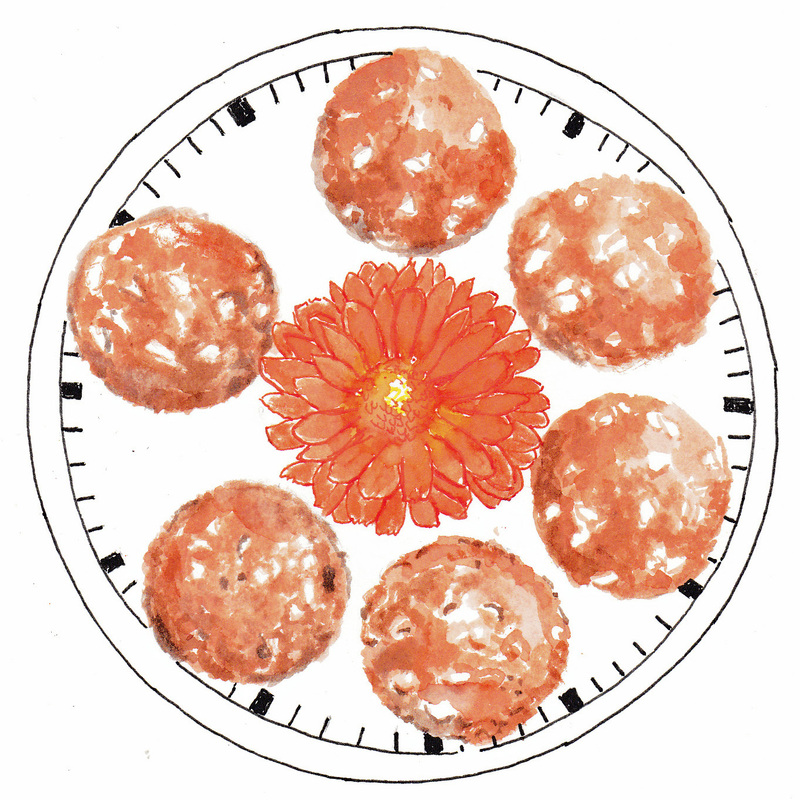 I also thought it’s be nice to put them on a clock plate – muffins anytime! I’m really disappointed in how this scan in particular came out. Time for a dedicated scanner? This entry was posted in All Posts, Inktober 2017 and tagged #Inktober, #Inktober2017, Helen Lock, Ink, Pen, Perth Hills, Western Australia on October 20, 2017 by Helen. Yummy muffins! An edible clock, how we consume time!